Lunch & Learn provides an opportunity for students, families, and lifelong learners to experience a Broadway-quality production while learning directly from the professional artists and technicians who make the performances happen. 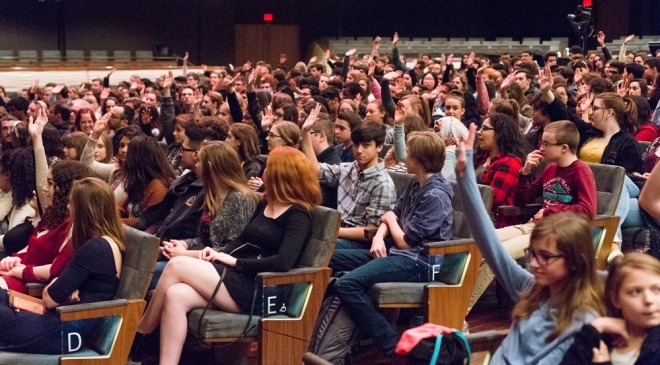 Participants enjoy discounted tickets to matinee performances, a moderated discussion with members of the production’s cast and crew, educational materials and a complimentary lunch. For groups of 10 or more, including school groups, e-mail lunchandlearn@attpac.org for more information.